A poster going by the name of ‘Little Keithy’ expressed surprise at hitting the thread on the riots, when he came here looking for stuff about the War of Spanish Succession. He was obviously not expecting the somewhat eclectic nature of my blog (read ‘any old rubbish that comes to mind’, refered to by my wife as spending half the night on the internet ranting at people). Unlike many wargamers this isn’t a wargame only thing. (It originally started as I wanted to share some fiction I had written with bloggers from other sites I frequent, for their opinion). Anyway what I was going to ask: what’s the allure of the WSS? I like the SYW as there is a variety of troop types plus nice uniforms to paint (not that I ever get round to painting them). The WSS appears to the uninitiated limited in troop types (in western europe), tactics and pretty uniforms (nice whigs though). Is it more a test of skill having limited opportunities for a coup de grace or clever manoeuvre? Last Tuesday Graham and I gave our newly painted War of Spanish Succession armies their first outing. I used my Allied Imperial-Prussians (Austrians in grey in the diagrams, Prussians in blue), against his French (white). The battlefield was fictional. 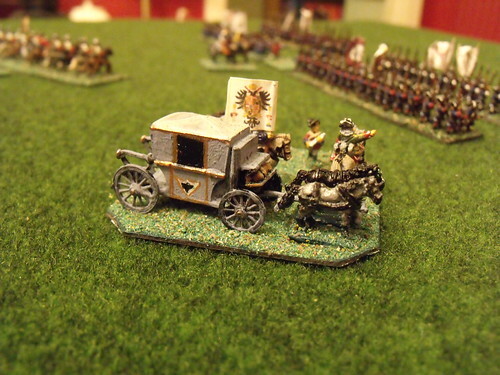 Rules are Black Powder, with modifications (as per other entries in the Barracks), figures are all Pendraken 10mm. 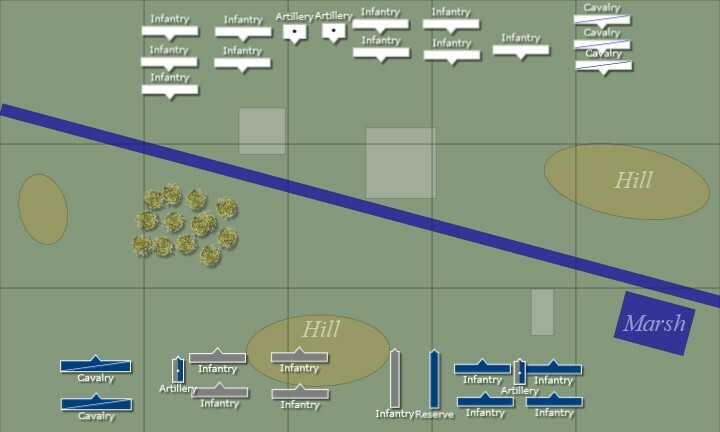 The French drew up in two wings/brigades of 5 battalions, while I chose to have the two odd battalions as a reserve, under the direct command of the Commander in Chief, making each wing four. Our first problem was who should move first. Being Gentlemen of the Age of Reason, we both insisted we would be insulted if the other did not take this honour. A duel (suggested by Graham’s wife) was impractical, so we agreed to settle as gentlemen in a fashionable club might, and rolled dice. My 8, beating his 7, the Allied Armies moved first. For convenience I will refer to the top as North, left of the table as West, an the end with the marsh as East. 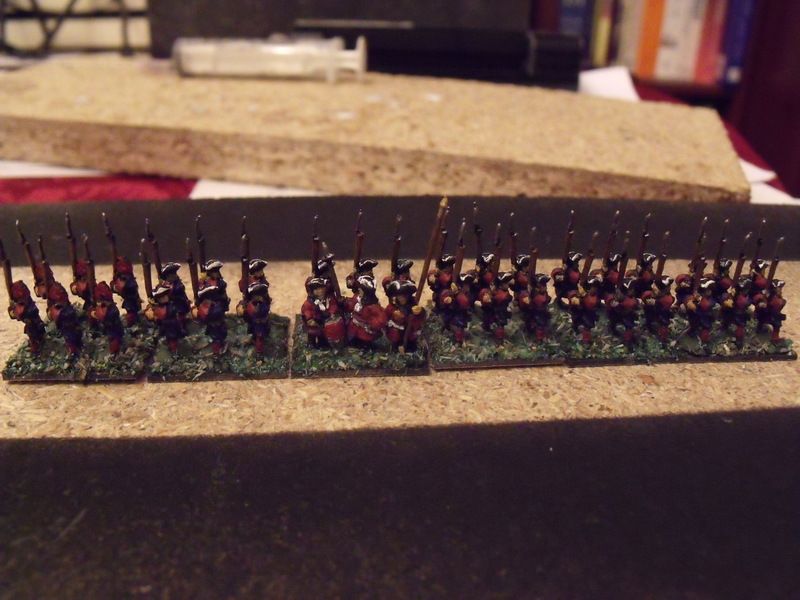 Finally painted enough figures to have a gamable army for Black Powder “War of Spanish Succession”. 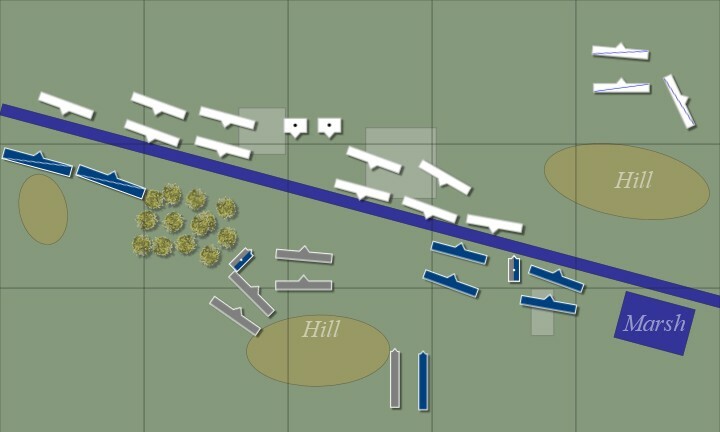 2 brigades of 4 infantry battalions, a couple of guns, and 2 regiments of donkey wallopers. Choice of a new wargame period should probably have a better reason that “I want something with Tricornes” – however because of this mandate I have started War of Spanish Succession. 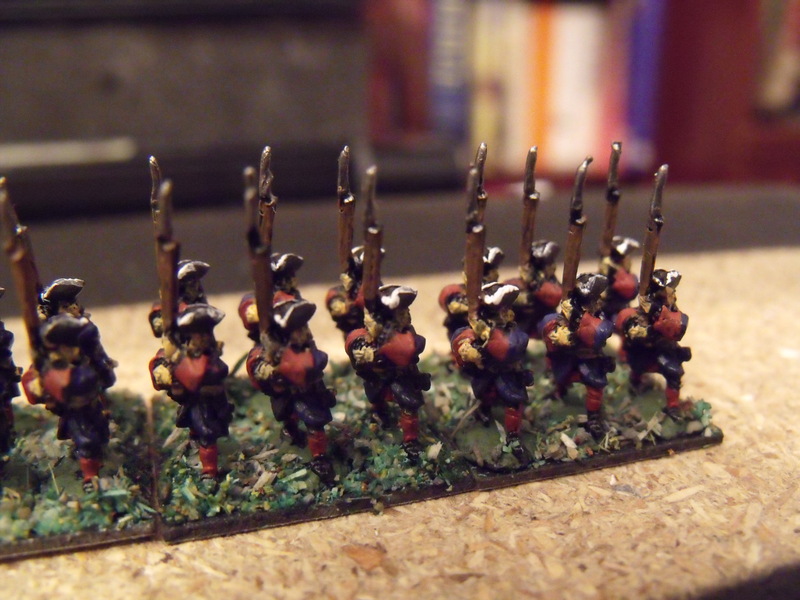 My first battalion, based for the ‘Black Powder’ ruleset, are done. Christmas Rituals, and who are they for? War of Spanish Succession - Open Thread. First battle for my War of Spanish Succession troops.